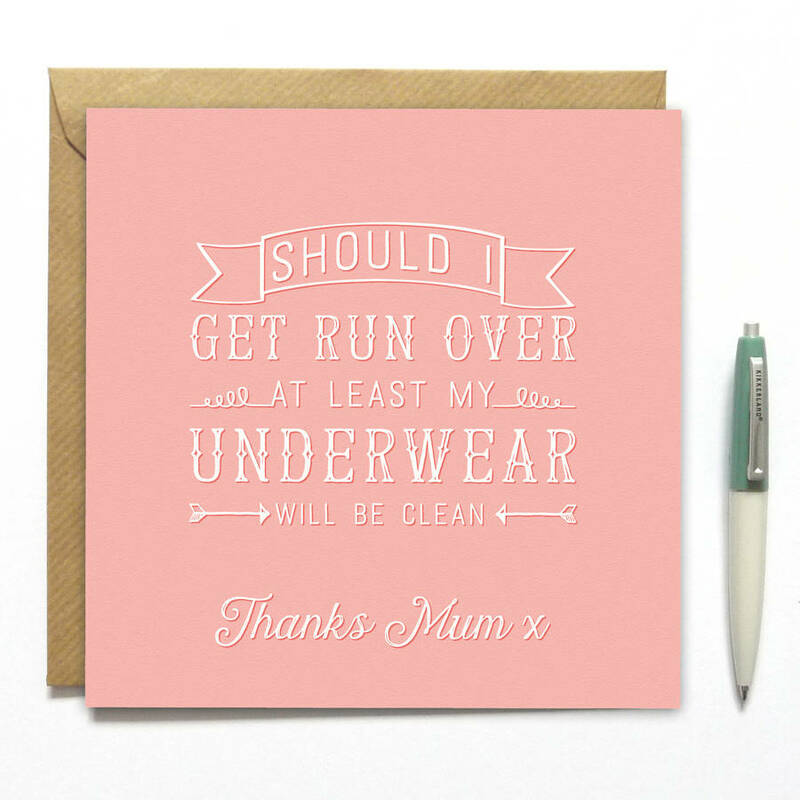 Did your Mum tell you to put on clean underwear just incase you were run/knocked over? 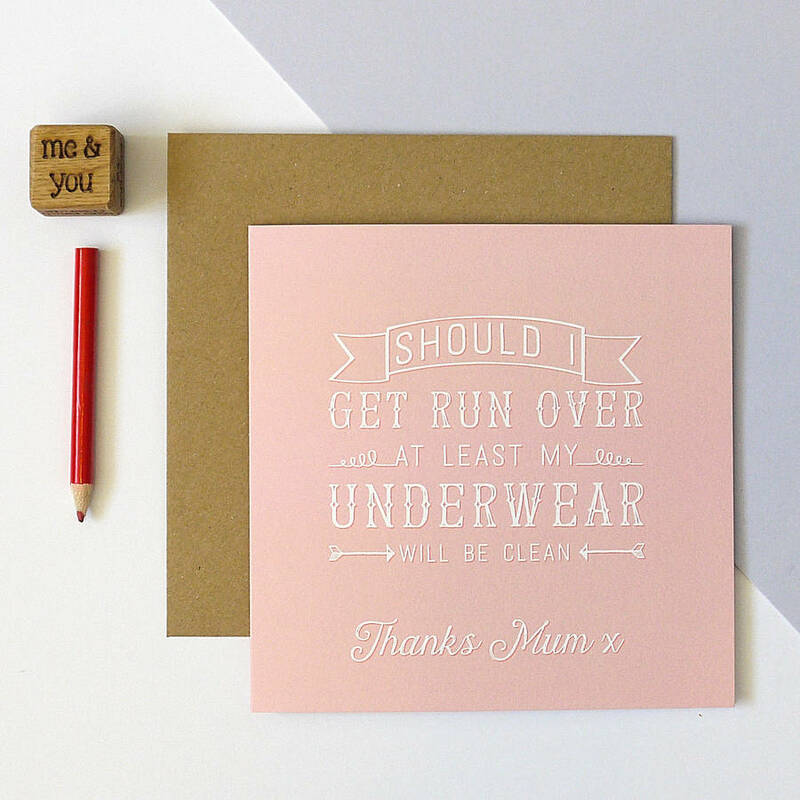 Here's a card to thank your mum for that advice and everything else she taught you. These cards are printed on luxury textured paper, and are BLANK inside to write your own message. The cards come with a Kraft Brown envelope and are packed in cellophane to keep them in top condition.